the 64-bit Program Files in its own new folder. 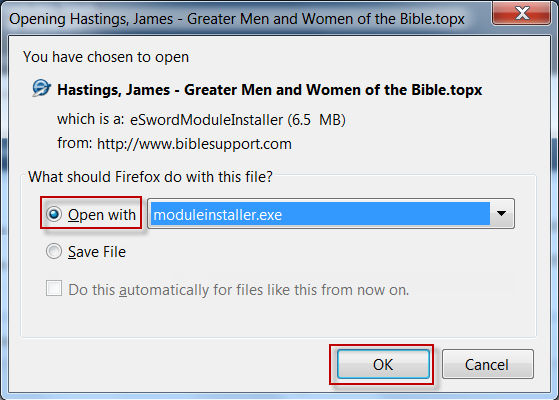 It will do something very friendly - it will allocate all the relevant filename.types to the correct default file app, which will be set to moduleinstaller.exe on the setting page "Choose default applications by file type". 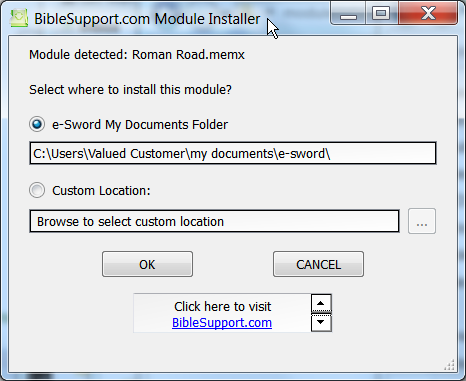 This kind of allocation of a file type to a non-Microsoft app, which is not loaded from the Microsoft Store, is not presently possible manually. 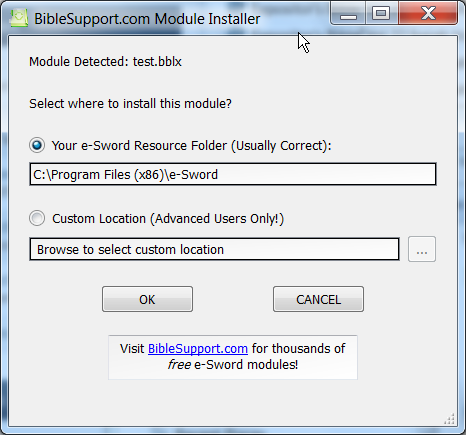 So from then on, any bblx file, for example, will know to use the e-Sword-moduleinstaller.